This tutorial is for people who use Thesis, however you can use this technique for any WordPress website under development where having a custom design is needed right out of the gate. I can hear some of the purists already set to put me on the stake and burn me for suggesting the use of an “under development/construction” page citing that “one should not publish a website until it is ready for public consumption.” However, when dealing with WordPress, or any database driven website, moving databases, encoded URL’s and all the supporting files around to different directories can be laborious and create the opportunity for errors when you are ready to launch—at that stage of the process who needs more work! Not me. What if you want to allow others (clients, etc.) access to the WordPress install so that they can start entering content while you are busy getting customizations (GUI, plugins, etc.) dialed in for prime-time? What can you do? I have an answer that I came across today while working on a friends website and I am sharing the process in this tutorial. We’ve done all of the above and it is relatively simple to do. What you will need to complete this tutorial? The rest of the file should contain whatever message/graphics you want for public consumption. This is the default theme folder that comes with WordPress when you install, if you don’t have it, get it. Download and install the Theme Test Drive plugin from Vladimir Prelovac to your WordPress plugins directory. If you need help with downloading, installing and activating plugins go to the source at WordPress. I make the text “click here” a hyperlink but only give it the “#” sign for now (to link nowhere) until we deal with the homepage redirect which we will do in the next step. Before you save the page go to the right side of the page, the right sidebar, to the Attributes to change the Template from the “Default Template” to “Placeholder Template” and then click Publish. This will ensure that the correct page is showing. In this step you will make the page you created in the previous step the homepage. This is so it will be viewed to the public as the “coming soon/under construction/under development” page. Go to the Settings/Reading in admin. Under the Reading settings you want to select the radio button next to “A static page (select below).” Then from the pull-down menu next to “Front Page” select Placeholder page. 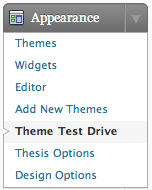 Check the theme setting and set Theme Test Drive preferences. Navigate to the Appearance sidebar options, and select Themes. Now select WordPress Default as your theme option. You are doing this so that the public at large sees the placeholder page. Next navigate to Appearance/Theme Test Drive in the sidebar. You want to select the theme you are developing or customizing. In my case this is Thesis. 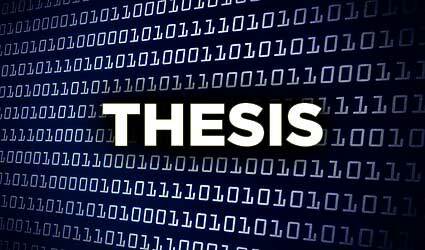 If you are not using Thesis then select the theme you are working with, or customizing. Create a new page in WordPress. This new page should be the real homepage that you are going to use in your design and development process. This page will be the homepage once the website is “live.” Be sure to take note of the permalink you give the page so that you can go back to you placeholder page and insert the link to this page from your placeholder page. This will allow you to easily get to the real homepage when you are developing the new website. Why can’t the public get to your real homepage? People may only be able to access the placeholder page with the homepage link if you are signed into WordPress in the admin role (which you can setup when you setup the Theme Test Drive setup). You may set whatever level of access that you desire. The key is being logged into WordPress admin area. If you are not logged in, cookies are not set, and you get the “coming soon/under construction/under development” page. If you are logged in you get the placeholder page with the link set to the real homepage (remember that permalink I mentioned previously). Return to edit your placeholder page you created in the Third step. When the content of this page is editable you want to change the target link of the “click here” text to the permalink you have from the previous step. Highlight the link and click the link icon from the toolbar to then paste in your permalink. Be sure to click the “Update Page” blue button on the right. 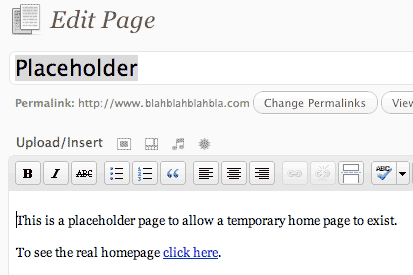 If you are signed into the admin area of WordPress and use that browser to look at the site you will see placeholder page. In a separate web browser tab, while logged into WordPress, go to the URL of the website in development. You will see the ‘placeholder’ page. Then return to the WordPress admin area and click ‘logout’ in the upper right corner. Now return to the tab containing the development website and click refresh. Voila! you now see the “under development/construction/coming soon” page. This should do the trick. As always I hope this tutorial is of benefit and let me know if you have any questions or comments. Always know that others may not understand what I believe to have explained clearly. Also, if you have an alternative take on a step or process I welcome your input. Laurie recently posted a comment below about a plugin called Maintenance Mode. 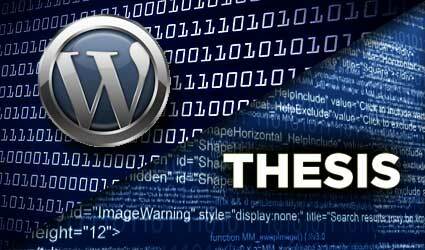 For those of you developing inside the Thesis world using this plugin is the way to go. 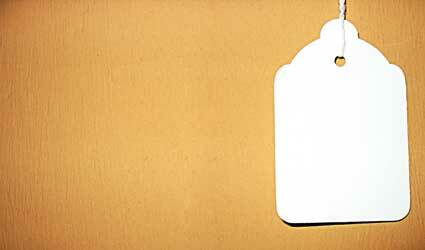 In particular the ability to select “custom template” from the page template menu is key. With my tutorial outlined above it is a workable solution in Thesis but requires some additional hoop-jumping if you are using custom page templates and custom sidebars (as I typically do). See Laurie’s comment below to get Maintenance Mode going. Hope this helps.